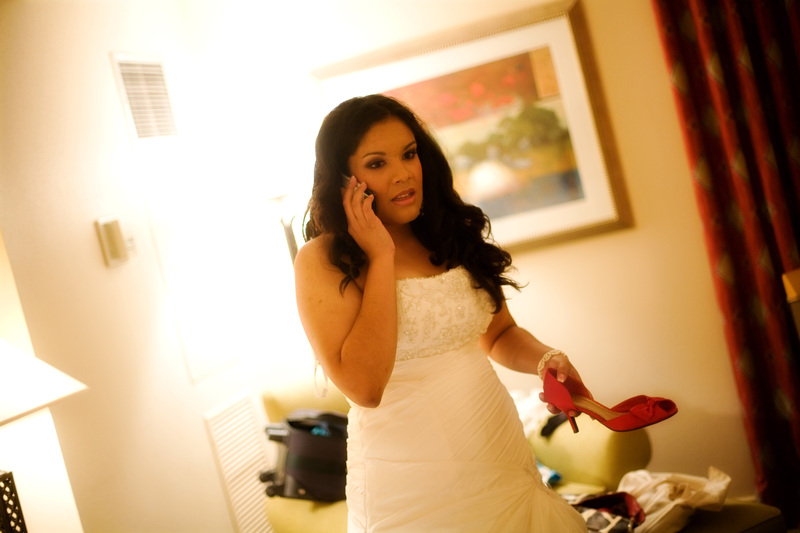 Yup, that’s me on my iPhone, on my wedding day, shoe in hand. That’s pretty normal for me. Except I usually don’t have a shoe in my hand. Need to find me? I am everywhere! I look forward to chatting with you. Sometimes it may take me a day or so to get back to you, but I will…I promise! E-mail is probably the fastest way to find me since I check my iPhone religiously as you can see.